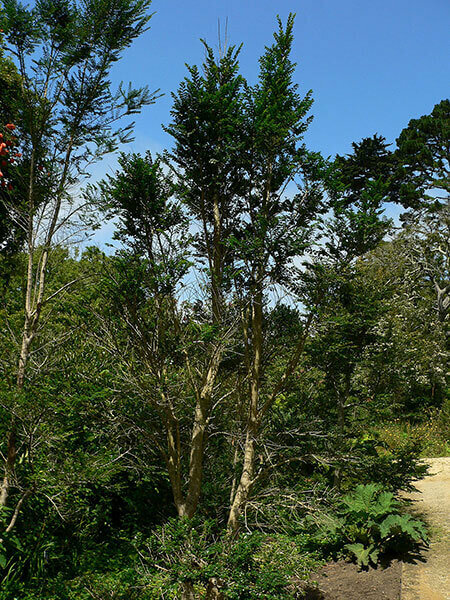 This is an upright tall shrub/small tree. It has tiny rounded leaves along its branches. The tree casts light shade due to it's sparse foliage. In late spring to early summer, insignificant yellow flowers appear underneath the leaves, giving off the most gorgeous perfume. Can be cut back and kept small.